Reader Angela Ayres got in touch with me this week to share this awesome project she created using one of the Craft Stamper free cover stamps (the cockerel image). It's a little box with eggcups and hand sewn egg covers. She made the box too!! Very inventive! The free stamp on the June issue of CS is close to our hearts, as it's been designed especially for the magazine by regular contributor Jo Firth-Young. Those of you who read regularly will be familiar with Jo's work, which is always eminently stylish and full of creativity. 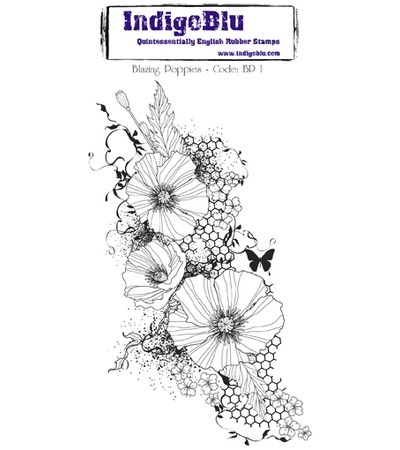 Her arty stamp design is a nod to the wonderful creativity of all our readers! 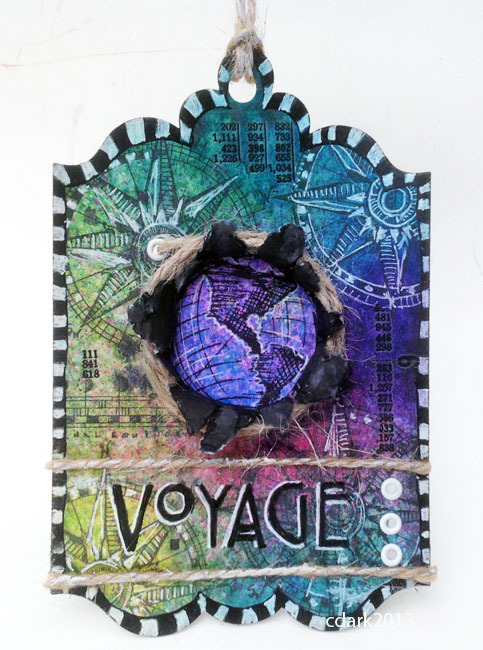 The project below is by Kim Costello using the free stamp and instructions for how to make it can be found on our website. If you've made something with the free stamp this month we'd love to see - why not leave us a link? Take It, Make it challenge Two- a reminder! I'm sure you are all aware of our blog challenge....but are you all aware that there is still time to play?! Our current ripping/tearing challenge still has a week or so to go, so why not join in? Have I tempted you yet? no? well how about some eye candy to inspire you! Hello, Carol here with my blog post for this month. 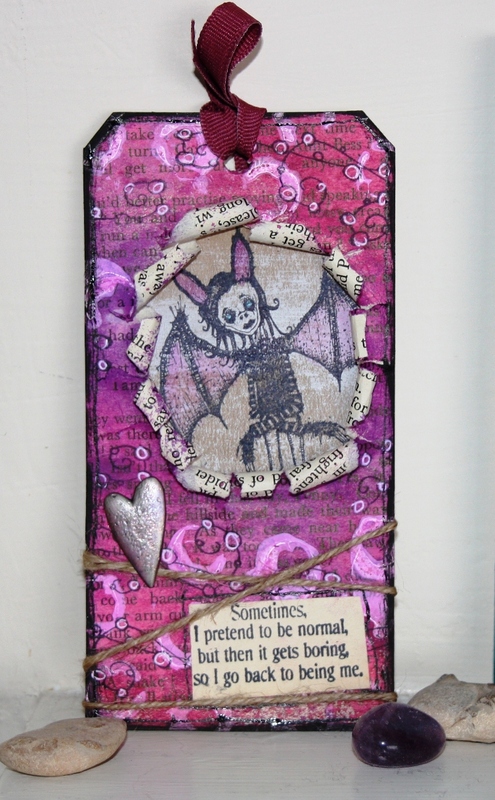 I have been having a little play with the new Remnant rub-ons available as part of the Idea-ology range. I have always love rub-ons, but I must admit I have in the past sometimes had problems getting some of them to work properly so I had always stuck to the 7Gypsies range. But I have to say the new Idea-ology rub-ons are easy to use and the images come out really well. I have a sample to share that is based upon the resist technique that Tim Holtz has used on his blog recently. I have gone with a Steampunk theme for my tag. I applied my rub-ons to a size 8 tag, bear in mind that these will resist the ink you apply in the next stage so I tried to think where I would stamp my images before I applied my rub-ons as I wanted to my tag to look quite structured. I found the best way to do this was to lay it out on one tag and then apply the rub-ons to another tag as I removed them. I applied Distress Stain to my craft mat and swooshed my tag through it until I was happy with the coverage. I also coloured a short length of crinkle ribbon with the remains of the colour on the mat to use on my tag. I dried my tag and ribbon with my heat gun and as you can see the colours are a lot more muted now they are dry. You can also see how the rub-ons have resisted the distress stain background. I added some Vintage Photo Distress Stain to the tag by picking the colour up of my craft mat and flicking it onto my tag. I then spritzed with a mini mister, blotted it and heat set. I edged my tag with a black paint dabber and hand drew lines round the edges using a pen and ink. I did all my stamping using black archival ink. I removed the ink from the rub-ons after stamping, by using a very small spot of alcohol blending solution on a piece of kitchen roll and very gently rubbing over the rub-on image. Then I added the various embellishments as shown in the main photo. 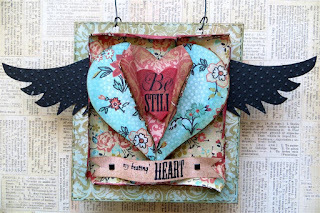 I do really like this technique and I can see myself using it a lot, adding in extra elements like stencilling and gesso. I used the following items on my tag, If you want to see stockists for these please see the post on my own blog where I have a full list. New issue out now! You are always asking us for more men's cards anad projects, so in time for Father's Day it's a Makes for Men special this month. Hope you enjoy it. 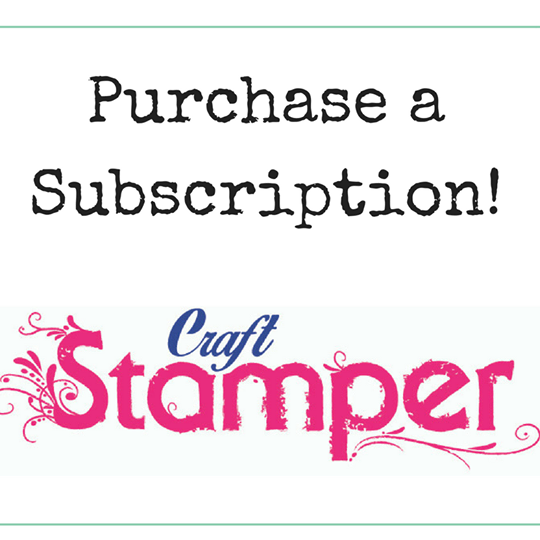 A full list of contents is available on the Craft Stamper website. 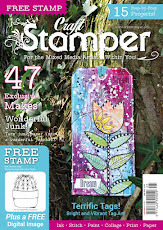 Please spread the word about this exciting opportunity to work on Craft Stamper magazine! Traplet Publications is seeking to appoint a part time (16 hours per week) Editorial and Creative Assistant for Craft Stamper (and when the need arises, Scrap365). The post is based in-house at our offices in Malvern, Worcestershire. Hours of work are flexible within the needs of the post. - Assisting the Editor with administrative tasks including logging projects received, sourcing products, competition prizes and giveaways, liaising with sales and marketing, supporting the magazine contributors and dealing with reader enquiries. - Working with the photographer to provide creative input into the presentation of projects for the magazine. - Contributing to the content and production of the magazine, including collation of text and copy writing. - Acting as support staff to the editorial team. -Have a keen interest in crafts, preferably rubber stamping. 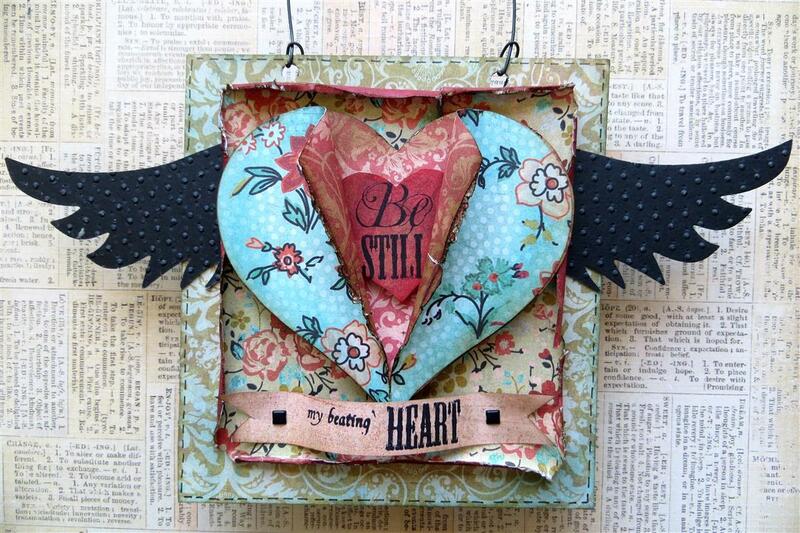 - Demonstrate awareness of trends in the craft industry. - Be able to work proactively and bring creative ideas to the table. - Be highly organised, able to manage their own workload and able to work with minimal supervision. - Have a good standard of written English and generally strong communication skills. - Be able to cope with working to tight deadlines and as part of a busy team where demands and priorities can change on a daily basis. - Have working knowledge of: MS Word, Excel (basic level) and email. Understanding of social media and blogging would be advantageous. To apply please send a CV and covering letter stating your suitability to: katy.leitch@traplet.com. For enquiries relating to the post please call Katy on 01684 588557.